Once you have a dotting tool you then have to pick out your base polish and find coordinating colors for the scales. I used Zoya’s Charla for my base, I applied two coats to all my nails and allowed it to dry. 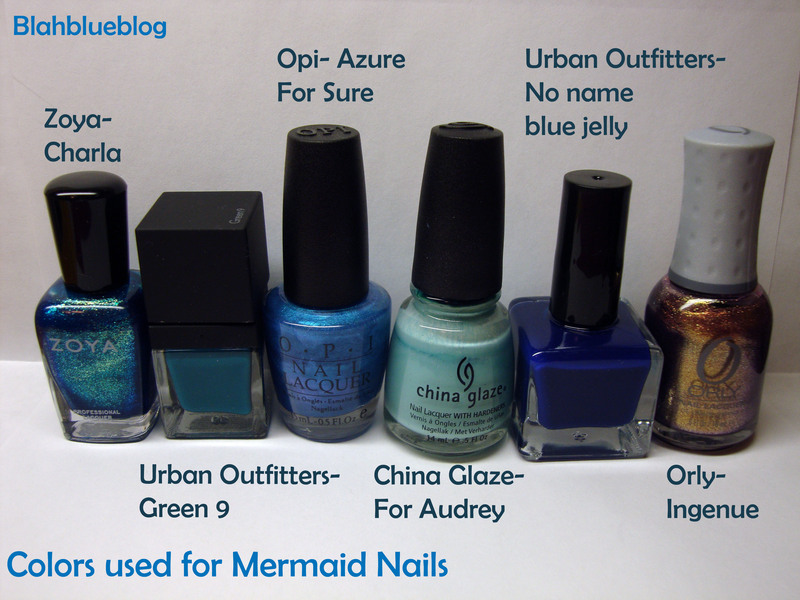 Then I went to my polish stash and tried to coordinate scale colors I chose 4 different blues (Urban Outfitters- Green 9 and no name blue jelly, OPI- Azure For Sure, China Glaze- For Audrey) a gold shimmer highlight (Orly- Ingenue). So one you decide what colors you are going to use you need to set up an area that allows you to dot and change the color on the tool quickly and efficiently. My set up is pictured below, I loosened the lids on all the bottles and put a small dot of polish on my strip of aluminum foil. You want to keep the bottles open because as you work your paint dots will start to dry up if the dots are too big, or will quickly be used up if your dots are too small. 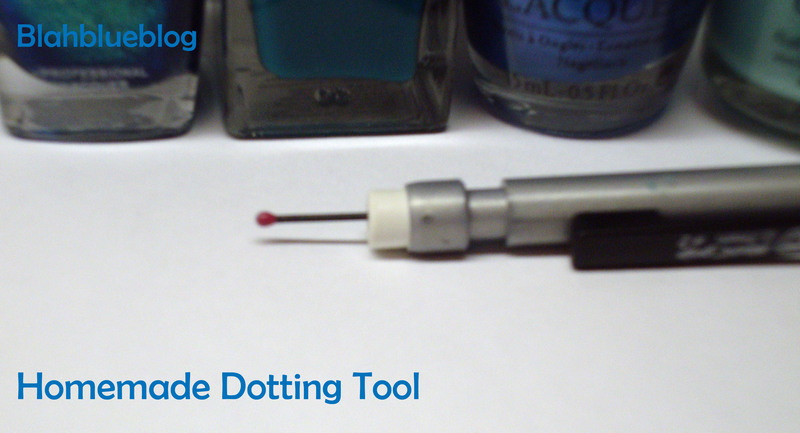 I also soaked a portion of paper towel in nail polish remover to clean the dotting tool between dots. To make the scales I started with the first row close to the base of the nail and I dotted different colors across the nail, overlapping them like the scales of a fish. I avoided placing dots of the same color next to each other, but if it doesn’t bother you then I think you can get away with using fewer colors of nail polish. 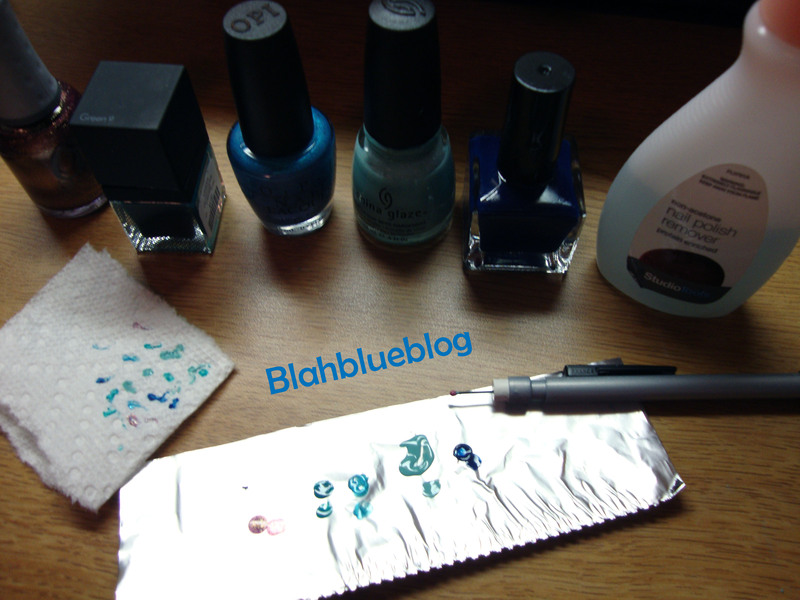 This was a really easy manicure to execute, but it can be a little bit time-consuming. Even though my scales didn’t come out perfect I still love the final result. Ingenue is a pinkish purple metallic packed full of gold leaning toward copper shimmer from Orly’s holiday 2011 Holiday Soiree collection. This is not a normal pick for my collection but when I spotted Ingenue on clearance I could not pass it up. The formula is a bit thin, but not to runny. I needed two coats to get the results seen in the photos below, I would recommend an additional coat if you prefer not having a visible nail line in certain light. 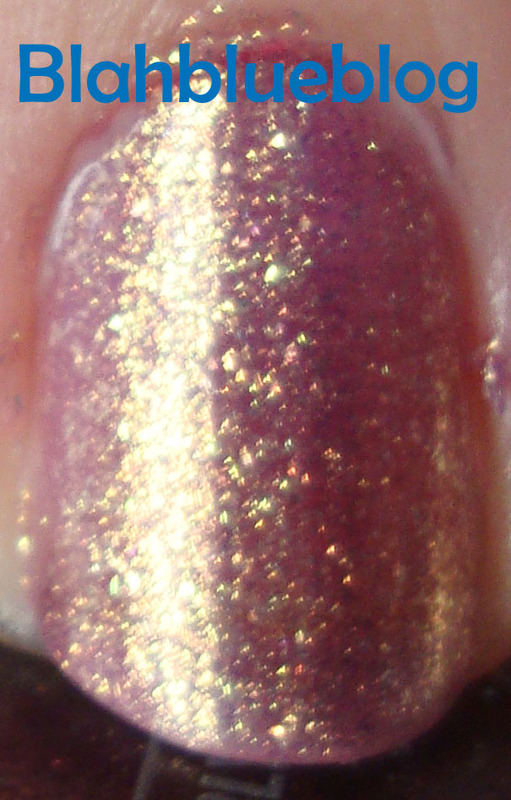 I took way too may pictures trying to capture the interesting shimmer effect so there are quite a few photos below. Ingenue is a very shimmery holiday nail polish and you can even find it on sale at certain Sally’s Beauty Supply locations like I did. I highly recommend buying this polish because it is an interesting polish with a great formula.